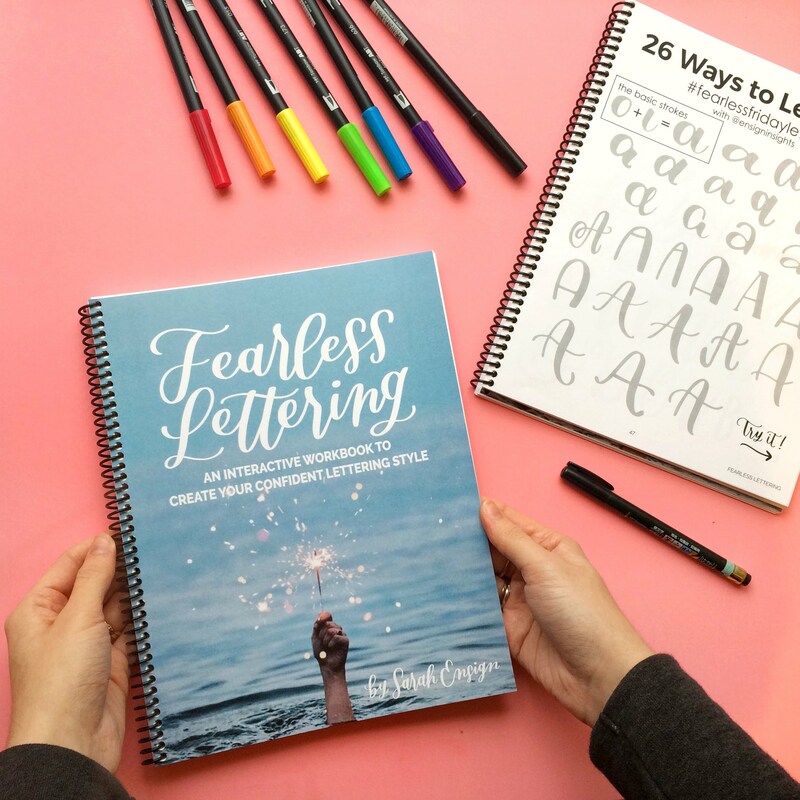 Fearless Lettering is back in stock! Grab your digital workbook here. Hello! I’m Sarah, owner of Ensign Insights, hand letter artist, and ice cream connoisseur. I started lettering during a time when I needed to be reminded how to be happy. Lettering became my therapy. But I started seeing so much talent and realized that I wasn’t even an artist. My letters didn’t look as good as everyone else. I got caught in the comparing monster’s trap. That’s when I had the idea for my new workbook, Fearless Lettering. I spent months working through a process to create confidence in my lettering, my unique style. And guess what? I found a way to escape the comparing monster’s trap and accept myself for all that I am! That’s the magic contained inside Fearless Lettering. I am excited to share that process with you! Watch this quick video to see what’s inside!